HBO's newest miniseries, "Chernobyl," will premiere on May 6. 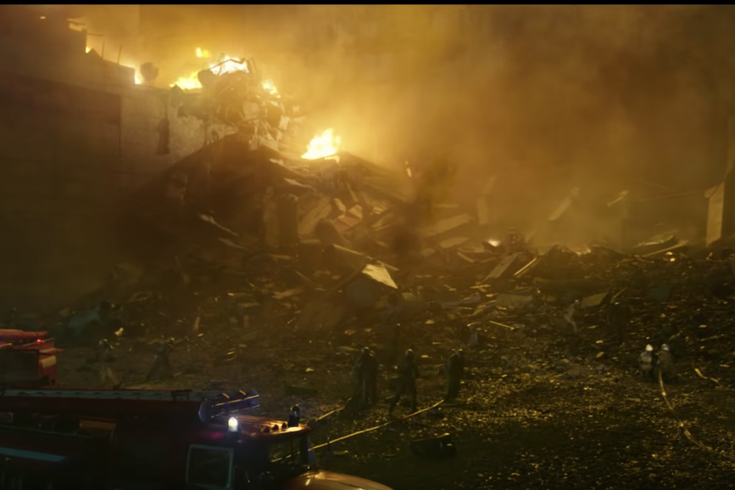 Move over "Game of Thrones," HBO has just released the trailer for its newest miniseries "Chernobyl" and it's quite disturbing. "Chernobyl" follows the Chernobyl nuclear disaster from the beginning to the aftermath and clean up process through five episodes. Stellan Skarsgård stars as the deputy prime minister alongside Emily Watson and Jared Harris. The miniseries was created by screenwriter and director Craig Mazin. Oddly enough, he's the same writer who worked on the comedies “The Hangover II” and “Scary Movie," so this series is a much darker turn for the writer. To quote the trailer's ominous tone, "A just world is a sane world. There was nothing sane about Chernobyl.” Occurring on April 26, 1986, the Chernobyl Nuclear Power Plant, near Pripyat, Ukraine, was conducting a reactor systems test and a sudden surge of power destroyed Unit 4 of the power station. The accident contaminated areas of Belarus, the Russian Federation, and Ukraine. The trailer isn’t short of horror shots, from a bird slowly dying to the reiteration that human touch alone can spread radiation. This series will not exactly be for the faint of heart. Chernobyl is known as one of the greatest man-made disasters of all time. "Chernobyl" premieres on HBO on May 6.